Published: November 27, 2018 17:49 Mythily Ramachandran, Special to tabloid! For the past two months, AM Studios in Chennai has been home to Oscar and Bafta-winner Resul Pookutty. The Mumbai-based sound mixer and designer has literally been camping at composer AR Rahman’s studio working around the clock. Yet, the sleep-deprived Pookutty is brimming with energy and proud to have pioneered 4D sound for the much-awaited Rajinikanth film 2.O, out on November 29 in the UAE. Pookutty, who spoke exclusively with Gulf News tabloid! about this landmark in the history of cinema, calls the film his most innovative work in sound design. 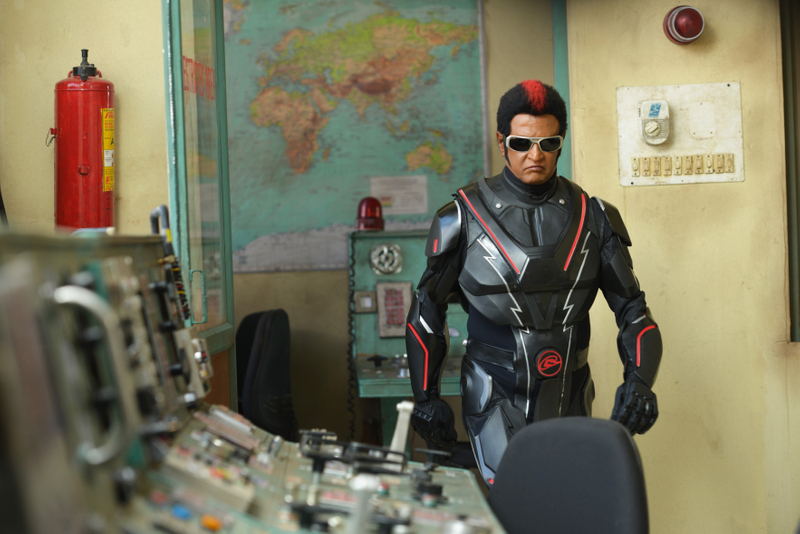 Having worked on its 2010 hit prequel, Enthiran - The Robot, Pookutty says 2.0 will be a leap in many ways. Here’s what you need to know about the film. What’s 4D sound all about? In a regular 2D frame, the story happens inside it unlike a 3D frame where the scenes are extended into the audience and the space becomes alive. “What is that in sound which can similarly be done in 3D?” Shankar had asked Pookutty. The sound designer told the director that it was possible theoretically but admitted that he did not know the practical aspect. He needed time to do his research. So began his exploration of a new path in the realm of sound. 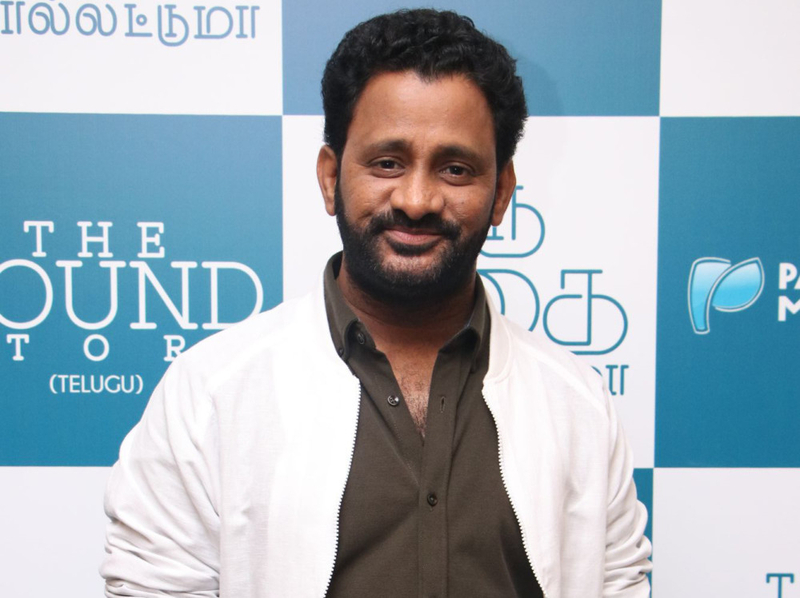 The next year saw Pookutty developing the format for 4D sound in cinema. Testing the software for the sound was next and Dolby Atmos lent support. 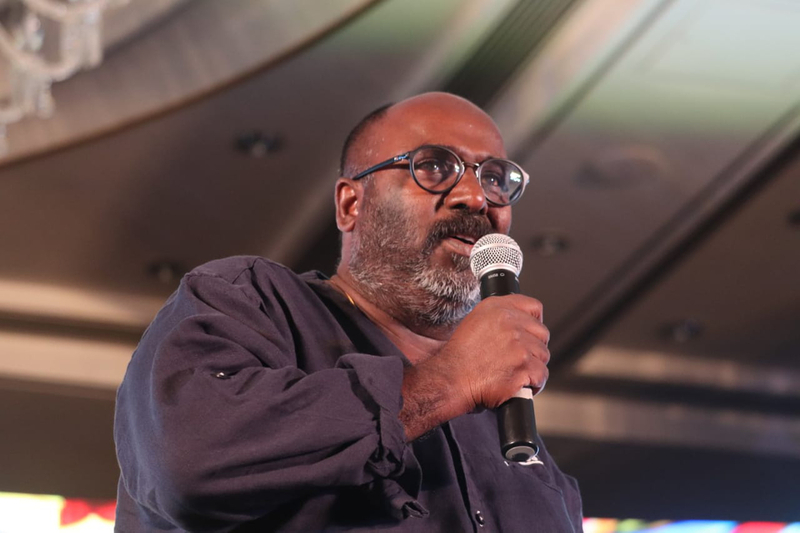 Sathyam Cinemas, a multiplex in Chennai became the lab where Pookutty and team worked after midnight and into the next morning, trying to figure out the right position and distribution of speakers on the floor. Following some trial and error, it was a historic moment when eight months later, Pookutty’s endeavour was experienced by the audience with the launch of 4D SRL (Shankar Resul Lyca) — a new dimension of sound that came into being at the trailer release in Chennai in November. “This is a first in the world and a historic moment for us,” says Pookutty. AR Rahman’s lab AM Studios was stripped down and upgraded to suit 4D SRL sound. “For two months it was shut down. No other studio owner would make his studio an experimental lab like Rahman did,” recalls Pookutty. The trailer of 2.0 reveals a clash between man versus bird — a robot 2.0 created by scientist Dr Vaseegaran (Rajinikanth) to combat a new force, depicted as a massive eagle that swoops down hunting humans and seizing their mobile phones, played by Bollywood actor Akshay Kumar who makes his South Indian film debut. British model turned actress Amy Jackson appears to be playing a robot as seen in the trailers of 2.0. There is even a song sequence, Endhira Logathu Sundariye featuring Rajinikanth and Jackson as two robots. “I have kept quiet about my character and I intend to keep that up until the release,” Jackson tells Gulf News tabloid! “Regarding the preparation, I took a huge interest in sci-fi films and futuristic documentaries to get a better understanding about robots, one of them being ‘The Future World, 100 Years Ahead’. It opened my eyes to the importance of Artificial Intelligence and how they already dominate the world we live in. Scarlett Johannson’s performance in ‘Ghost in the Shell’ also really stood out to me. “In 2015 I visited LA to meet with Mary Vogt [Hollywood costume designer]. Her team took measurements and did whole body scans and moulds for my body suit. It was made of a very thick material, yet flexible, which was important because I had a lot of wire work with the stunt team. Three years later, the same company made my superhero suit for Supergirl. 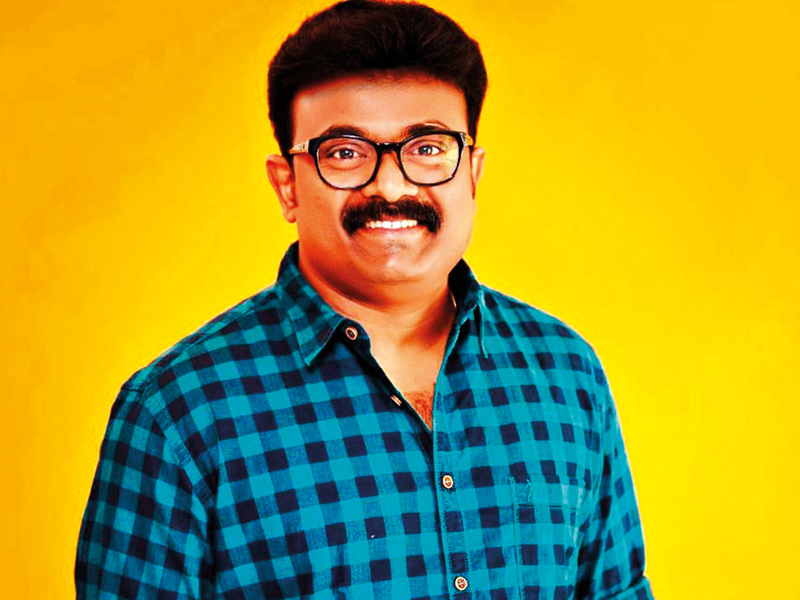 Elated at working with Shankar, Shajohn says that he merely followed the director’s instructions. Shajohn is not able to talk about his role. He was disappointed about not having combination scenes with Rajinikanth. But he met the star who appreciated his work in Drishaym. Another fond moment was taking a picture with Akshay Kumar. Action choreographer Stunt Silva says director Shankar should take all the credit as the action choreographer. “Shankar sir planned each frame and shot with sound included. We merely executed it. He is a perfectionist who does not give up till he gets the scene right,” he says. Silva worked with a team of Hollywood stunt choreographers including Kenny Bates. One lesson that he took home from this experience was the importance of rehearsals. Art director T Muthuraj said they had to strike a right balance ensuring that the sets were hi-fi in every sense without becoming a caricature. “It was in the small things that we found hurdles and not in the big structures. I enjoyed working on the robotic garden,” says Muthuraj. • A city with high-rise buildings where an action scene involving cars was shot along a road stretching 1.5km. • Dr Vaseegaran’s lab with its exterior reflecting the high level of scientific inventions taking place. Lightweight installations were placed outside. Gadgets and robots in different stages of production were created and placed inside. • A farmhouse for Pakshirajan, the character Akshay Kumar plays. • Satellite towers were erected up to a height of 40ft to be later raised to more heights through VFX. • A space research centre as well as army tankers, guns, bullets were created. 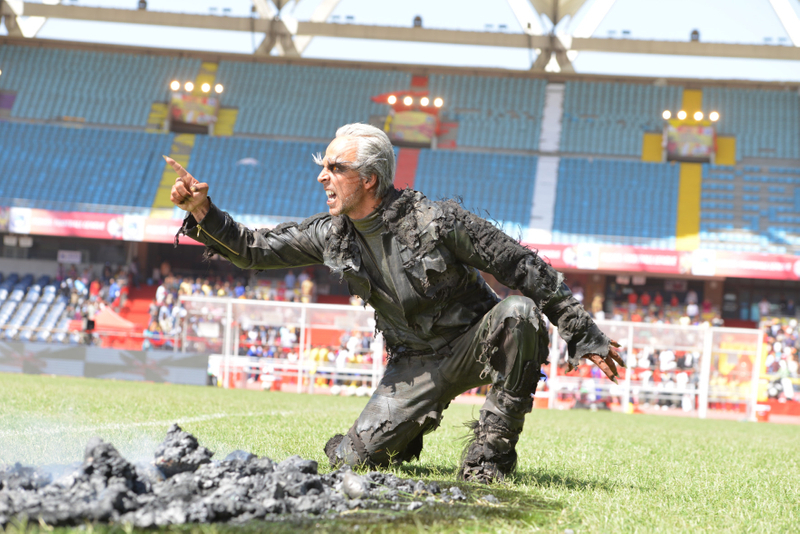 • Damaged portions of a stadium for the climax scene. 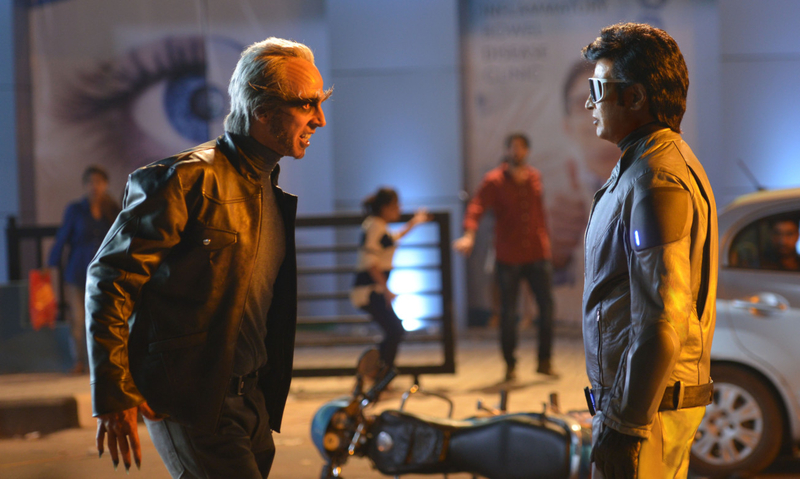 2.0 releases in the UAE on November 29 in three languages: Tamil, Telugu and Hindi.